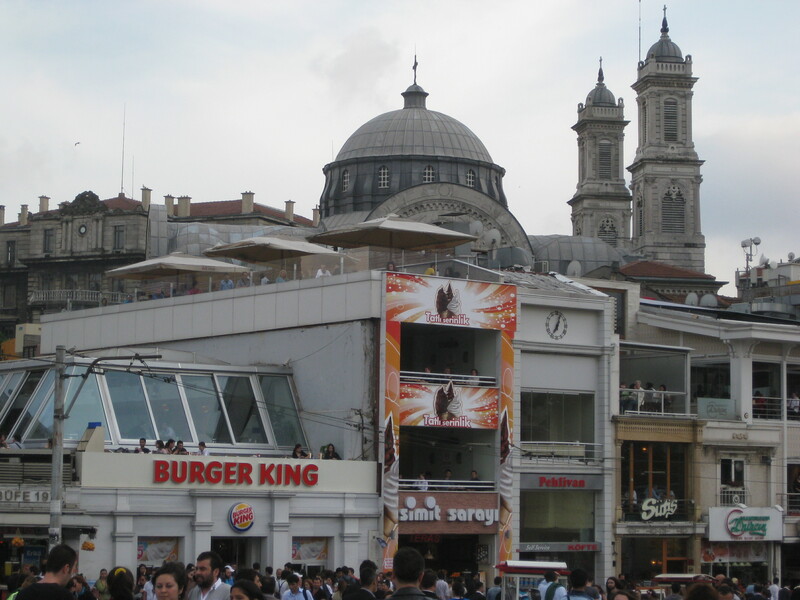 Imagine a city that has ancient ruins on one side of the street and a Burger King on the other side. Welcome to Istanbul. We’ve only been in Istanbul for a day and half, and I’m already captivated by the city with its unique mix of the old and modern. It could also be described as the place where the West meets the East, a crossroads that spans thousands of years. Istanbul was the center point of three empires – Byzantine, Eastern Roman, and Ottoman –resulting in a melting pot of architecture and culture. We definitely witnessed this while sightseeing. 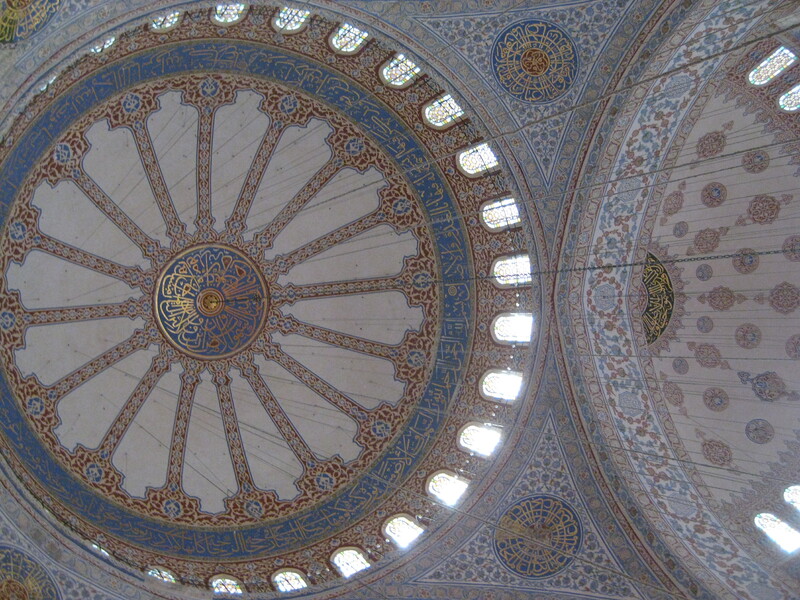 For example, the Hagia Sophia has evidence of being both a church and a mosque. In a more modern sense – the European café culture permeates the city, while hookah bars can be found just around the corner. And if that’s not enough proof – the city is literally split between Europe and Asia, with a bridge connecting the two sides. It was definitely a culture shock going from Uganda to Turkey. The people are much more assertive here – the hawkers in the Grand Bazaar could definitely give the Ugandan roadside vendors a run for their money. But they are also more playful – you know there’s a sense of humor instilled in a culture when “I like your style” and “Going on a safari?” are the comments you get while walking through the bazaar with a helmet cam. 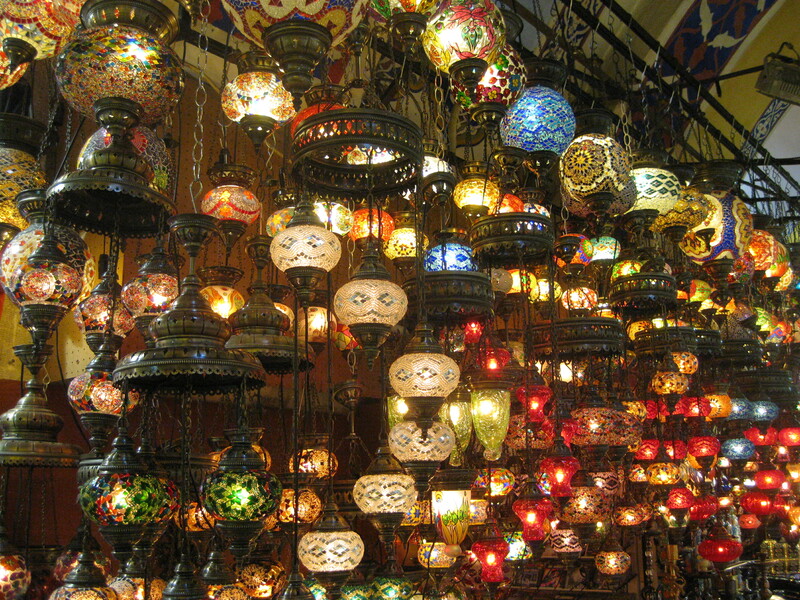 We somehow managed to cram most of the major sites into one day – from marveling at the vivid color of the Blue Mosque to exploring Topkapi Palace to getting lost in the 65 streets of the Grand Bazaar (with a break for Turkish coffee in between, of course). Unfortunately we leave tomorrow, but we’ll be back in two more weeks for another day of exploring! 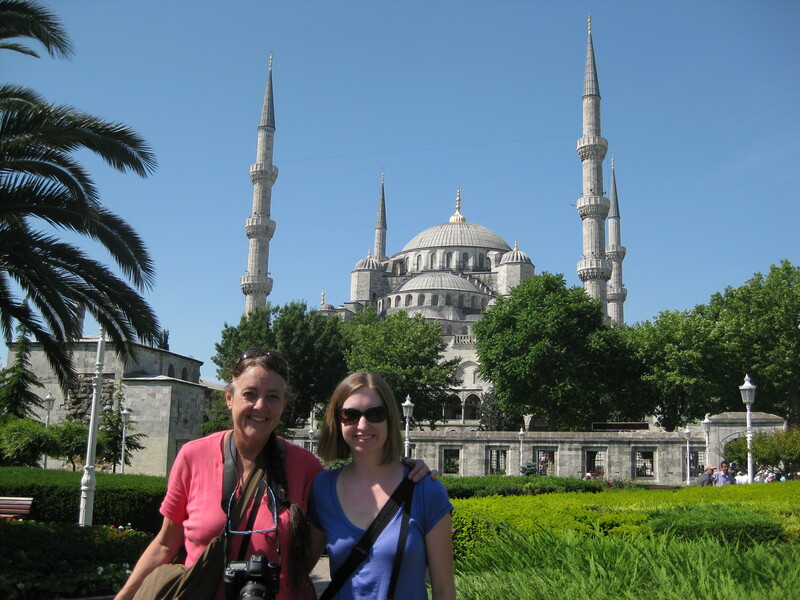 This entry was posted in Travel, Video and tagged adventure, around the world, Asia, bazaar, discovery, documentary, Europe, exploration, Hagia Sophia, Istanbul, Middle East, Ottoman Empire, People Making a Difference, Travel, traveling abroad, Turkey, video. Bookmark the permalink. Welcome to Istanbul, indeed! Thanks for the great post, Erin. It is in understatement that I can’t imagine entering the fabled city. . .from Uganda. (I just can’t.) That you guys “did” the city and reported on it in what seems like the blink of an eye before flying off to Poland, well. . .It just proves you guys really are better suited for adventure than most. Keep up the great work! What wonderful posts, Erin. Keep up the blogging. We’ll keep viewing the world through your pictures and words.